While you fill out the parts form we have provided music for your enjoyment, Click below to play music if interested. For fast ordering of parts be sure to check out our NEW ONLINE STORE! Didn't find what you were looking for in the Online Store? No problem, Please fill out the Form below and we will be happy to help you! 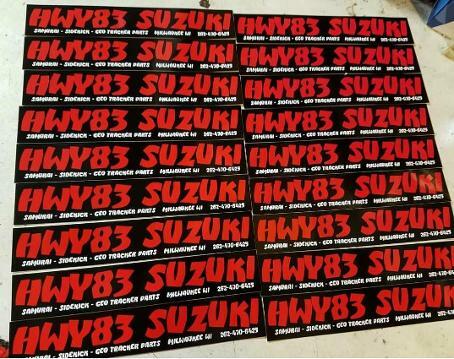 Want to represent Hwy83 SUZUKI? Let us know and we will send you a FREE STICKER with your order!